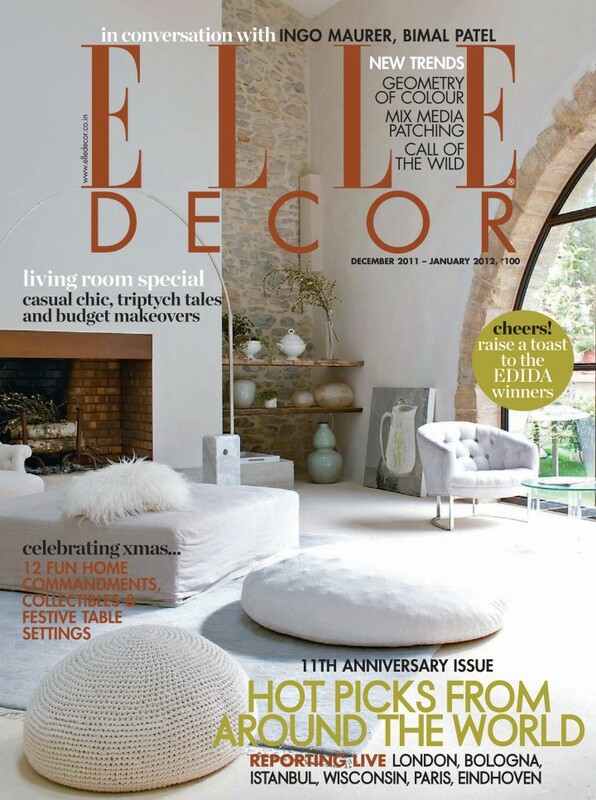 ﻿ Wool Modern | not tom. 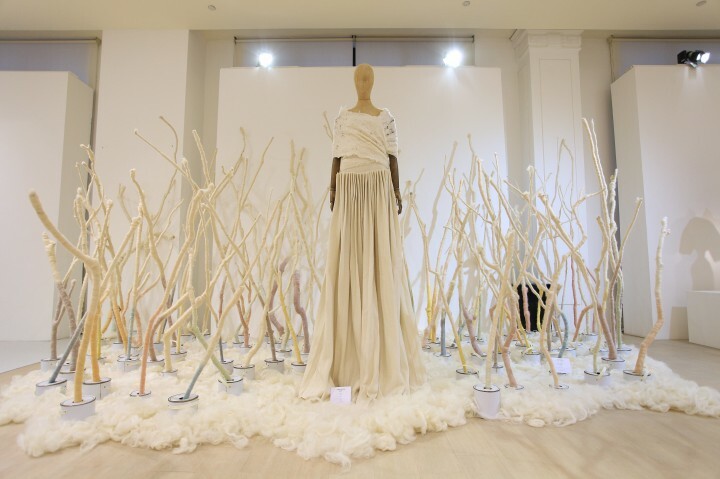 Woolmark and show curator Charlotte Lurot commissioned Not Tom to create an original piece for inclusion in the Wool Modern exhibition in La Galleria, Pall Mall. 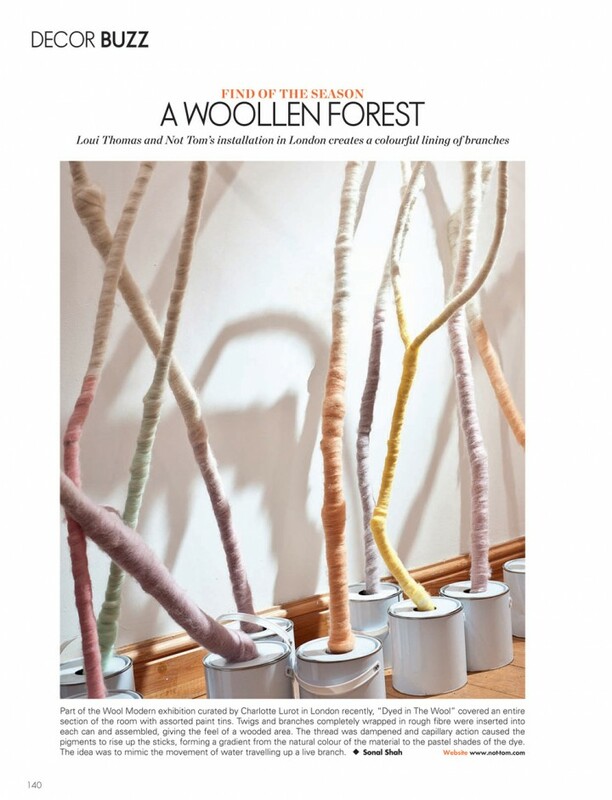 Our response to the brief for a wool themed installation to surround a room was our piece “Dyed In The Wool”, created in collaboration with Loui Thomas. 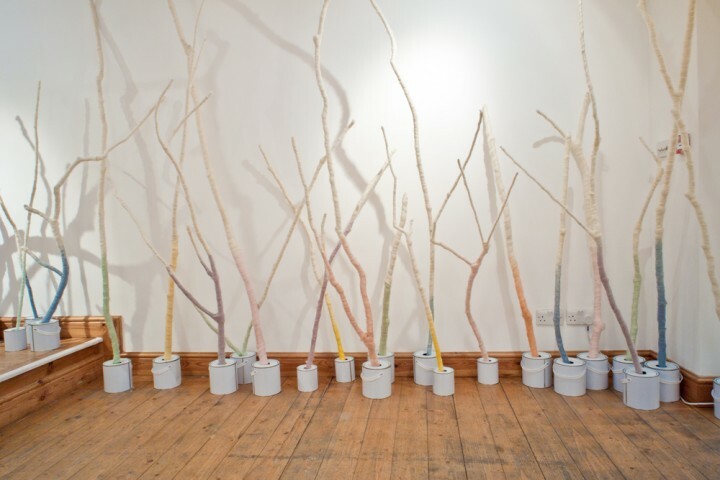 The outside edges of the room are lined with assorted paint tins filled with various coloured dyes. 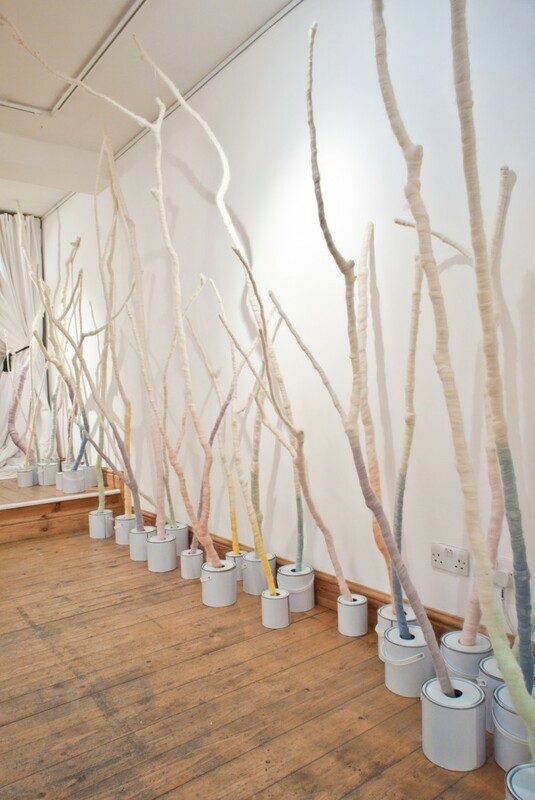 Stood in each jar, and set at random angles are large sticks and sections of tree branches completely wrapped in natural wool top. 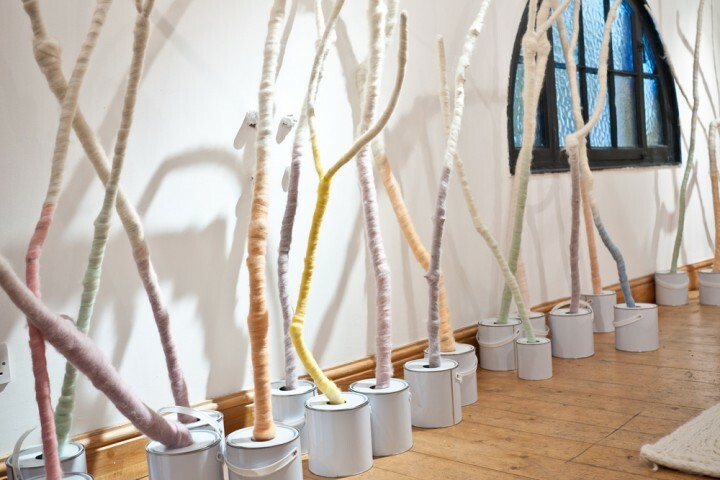 If the wool is dampened, capillary action causes the coloured die to rise up the sticks, eventually forming a gradient from the natural colour of the wool to the bright colour of the dye. 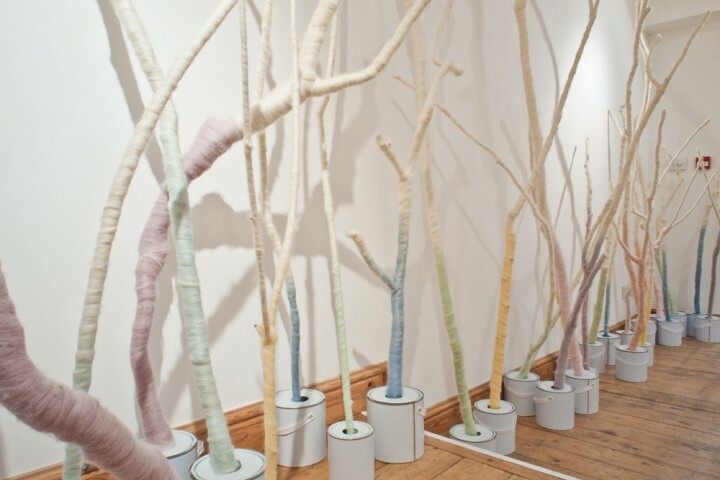 The full effect of the installation is that of a strange woollen forest, with a subtle, colourful glow around the bottom of the room. 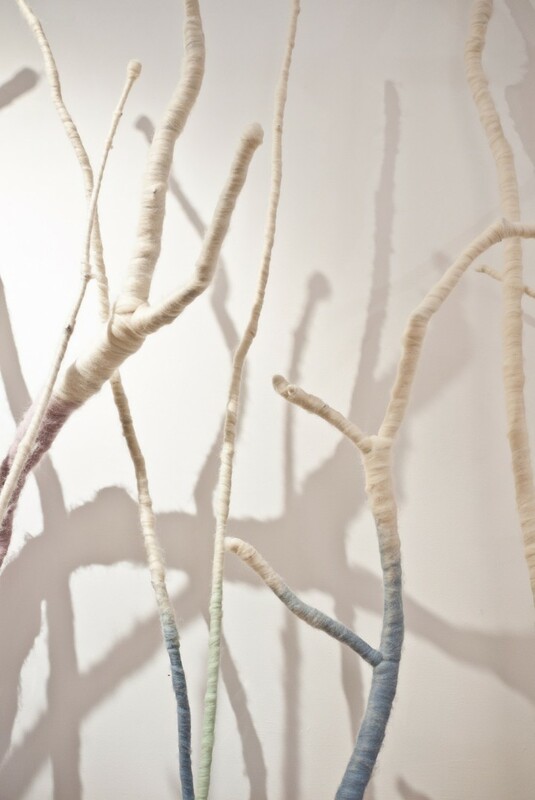 The mummification in wool of the dead branches is juxtaposed by the capillary action re-creating the natural movement of water up a living branch. Meanwhile acting as a demonstration of dyeing processes. 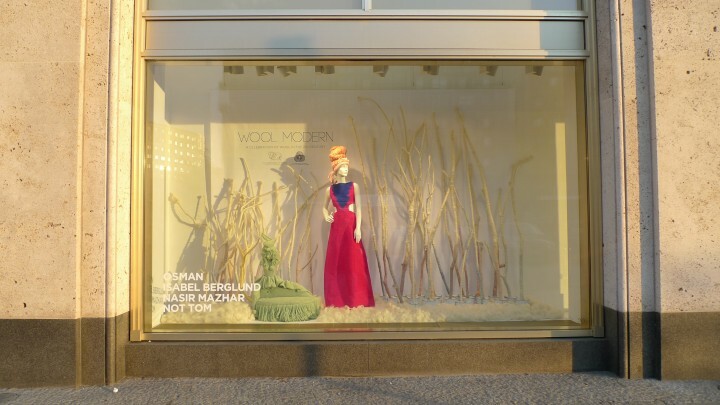 The sticks have become something of a totem for the Campaign for Wool, with them also being installed in the gallery windows, the windows of Pringle’s Sloan Street shop and included in the promotional video for the exhibition in association with Harrods. 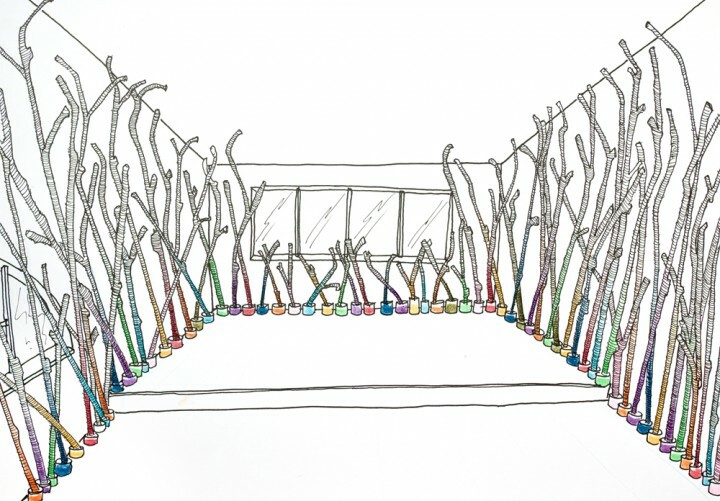 The installation has since been widely publicised both online and in print. “The inaugural leg of the exhibition in London, which was opened by HRH The Prince of Wales on the 7th September, has met with great critical acclaim from the press and public alike. 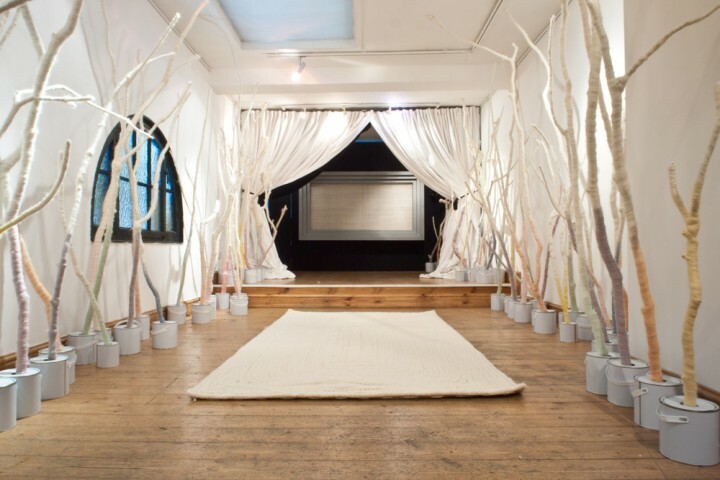 Your piece ‘Dyed In The Wool’ is an important and impactful part of the collective works that serves to narrate such an inspiring story of the use of wool in the creative industries.